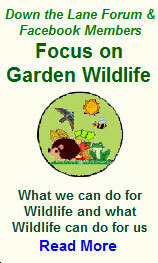 A great down to earth Gardening series of Videos and Articles for everyone. 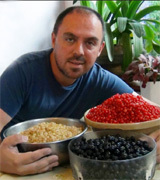 A couple of years have passed since Sean James Cameron presented his popular 'HorticulturalChannelTV' series on a Community Channel. Since then Sean has progressed further running his own YouTube Channel and Facebook pages again becoming a hit with both new and experienced Vegetable and Fruit Growers. You can either watch their videos via their website www.thehortchannel.com, or directly via their YouTube page where you can subscribe and be automatically informed when a new episode goes live. 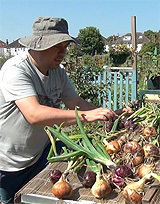 Sean’s Allotment Garden is one of the main shows on their channel and it shows the positive aspects of having an allotment and how much fun it can be. 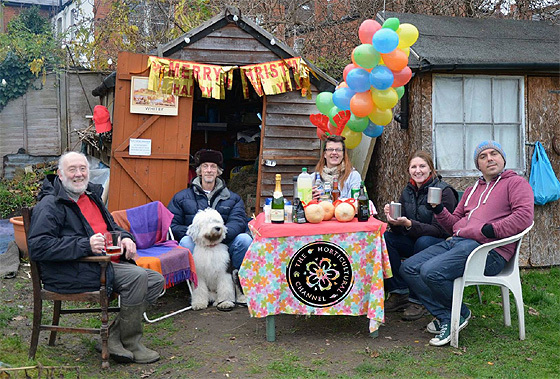 How an Allotment should be..
Sean (right) and friends at their recent Allotment Festive get together! He know's his Onions (and a bit more on top) ! !